After a day of collaborating, critique, and feedback, the students were invited to the administrative offices of the Faculty of Education for a reception to welcome them to the University of Oslo. Norwegian team members joined their American counterparts in being welcomed to UiO by the Director of the Faculty of Education. 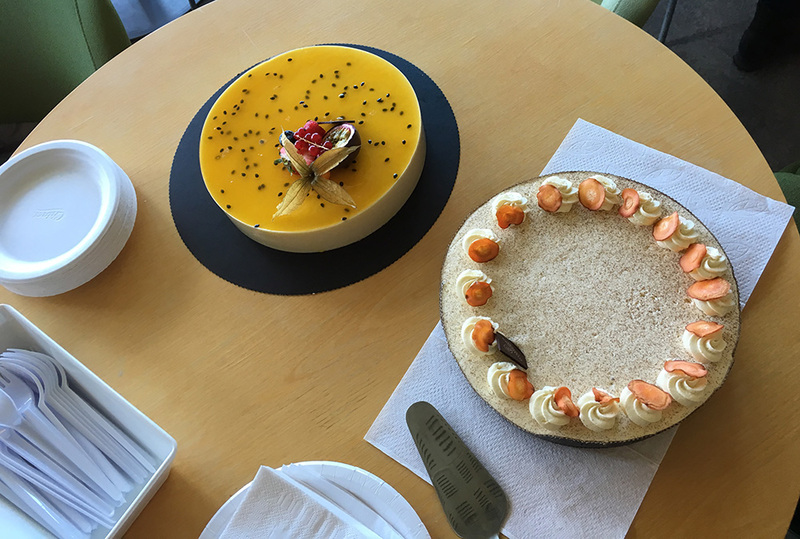 Proper cakes for a welcome reception, citrus cheesecake and carrot cake. And requested by the American students, the traditional marzipan.